Havana is everything I thought it would be, and more. When I heard that there is plenty to do in the Cuban capital, I decided that our visit should be of at least 5 days, but if you remember my 14-day itinerary around Cuba, you know we ended up staying longer. 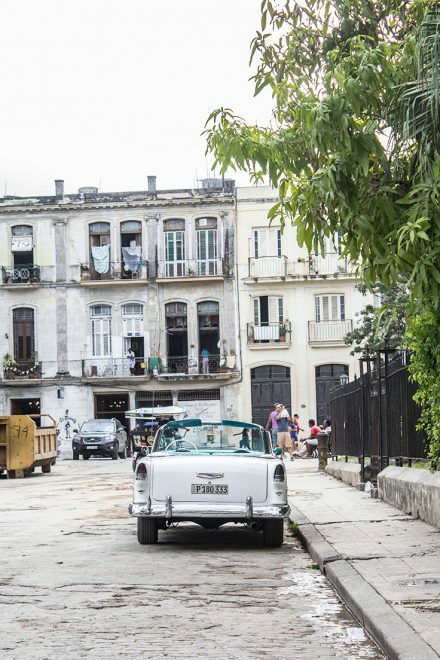 It’s no wonder, Havana has enough to keep you busy for a while, and as it is still being explored by tourists, you can always find something off the beaten path amongst the most popular attractions. 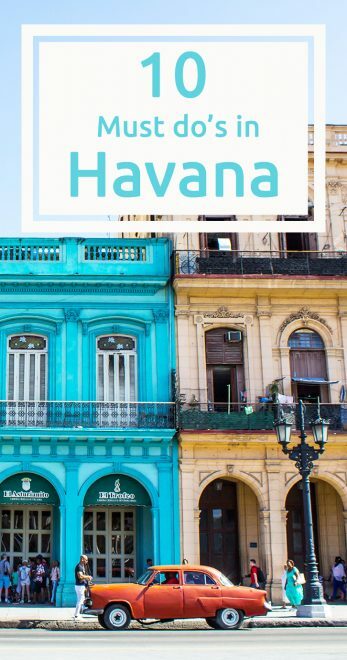 However, if you find yourself trying to decide what’s worth the visit or not, with some effort, I put together the 10 must do’s in Havana. These are the 10 things you just cannot miss while visiting the city. Unfortunately, (or not) you won’t find on this list smoke a Cuban cigar or dance salsa. Why? We aren’t smokers and don’t really like to dance, and we know that many of you feel the same way, and well, there are more things to Havana (and Cuba) than salsa and cigars. Though, feel free to add them to this list, if for you they are a must. If you had only one thing to do in Havana to pick from this list, walking around Havana Vieja should be THE one. The old town is a world in itself, busy, noisy, with incredibly breathtaking architecture (you can never get tired of the buildings), the old timers, museums, cathedrals, squares, theaters, iconic hotels, street food, and I can go on and on. This place is amazing, and we never got tired of it while in town. Therefore, Havana Vieja is a MUST. 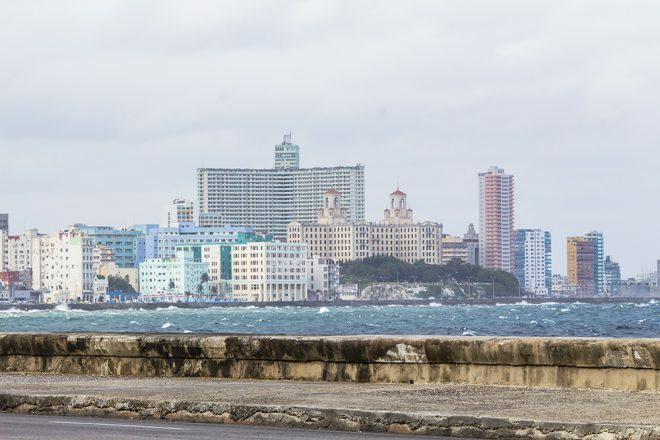 The Malecón is an 8km long seawall that goes from Vedado neighborhood until Havana’s harbor, passing by Central and Old Havana. There is where strong waves crash into the wall and where the sunset is not to be missed. 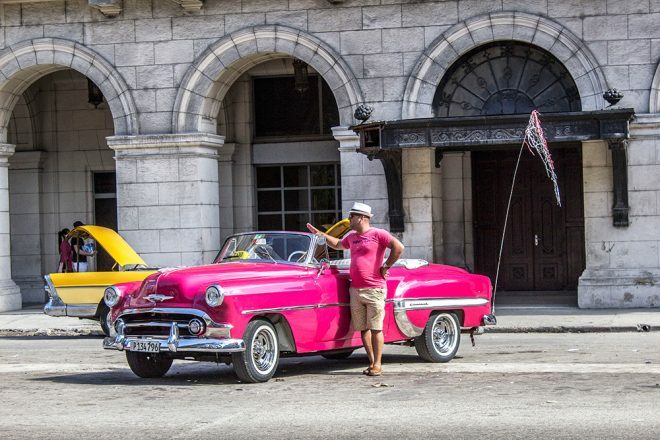 It is a must when in Havana, one of the city’s post cards and most iconic places. The most important square in the city, and in the whole country. 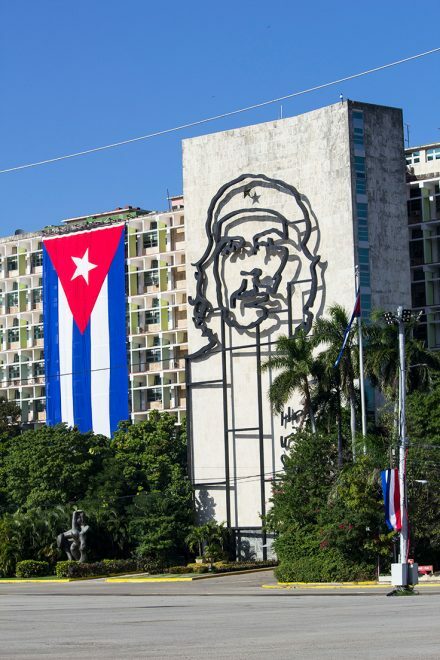 Plaza de la Revolución is where Che Guevara used to have his office, where important events are held (including Fidel Castro’s funeral and the Pope’s visit), and just behind it it’s where the seat of the Cuban government is located. 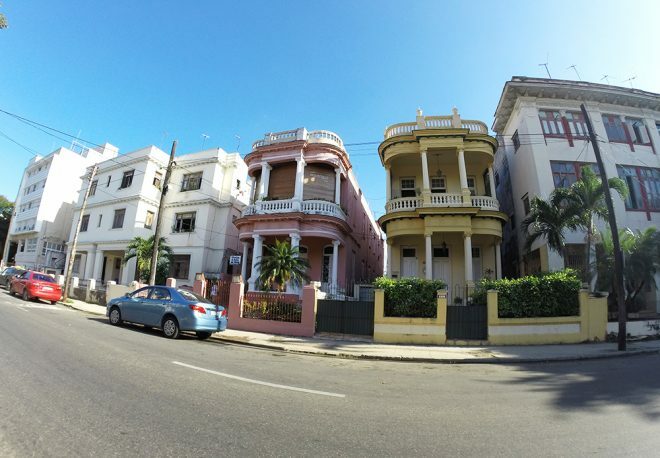 If you believe that because of communism Cubans have social equality, you need to visit Vedado and experience some jaw dropping with the mansions you will find there. There is one more amazing than the other, and you will be sure that even in Cuba there are clearly rich and poor. Officially named Fortaleza de San Carlos de la Cabaña, this fortress dated back to the 18th century, is the third largest in the Americas. 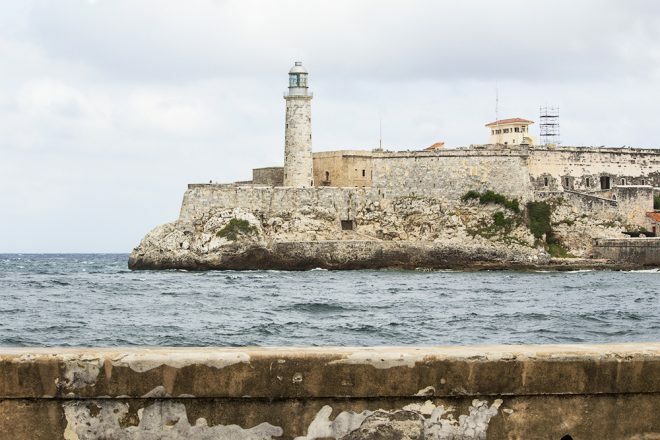 It is one of the most remarkable landmarks of Havana, located in a hill just across the harbor, to where you can go by boat or by crossing the underwater tunnel of the city. The fortress offers an incredible view over the capital, especially at night, and something you can’t miss is the Cañonazo Ceremony, which happens everyday at 9pm, when the canons are fired. This event is a ritual, it used to mean that the city’s gates are closing. 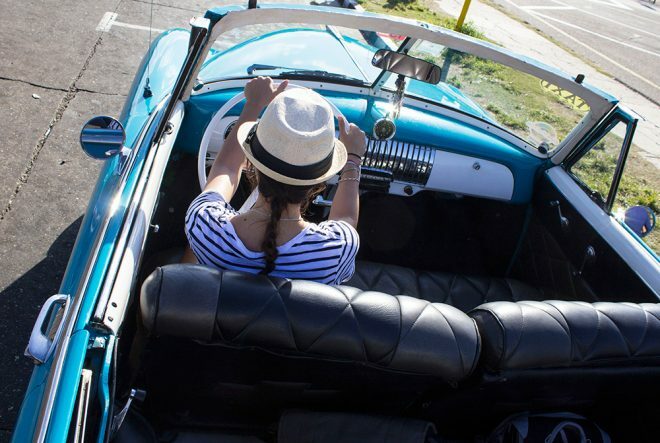 Because, even if it’s incredibly touristic and expensive (around 50 to 60 Euros a ride) you can’t just visit Havana and not ride a convertible old timer. Though, if you aren’t willing to pay this crazy amount for a ride, you can still experience an old timer by simply taking a taxi in the city. It won’t be the same, but I assure you that it’s a heck of an experience too. ♦ You are not allowed to drive the cars, though the driver always let you take a picture pretending that you are. ♦ The driver is also a guide, and he will tell you the stories of the places you pass by, is available for questions and even assists you with taking pictures. ♦ There are different companies that offer the ride, some allow you to make reservations online and can pick you up wherever you are. However, you find most of the cars located at Parque Central, where you can decide which tour you want to take (they normally take 1 hour and there are 2 different tours you can pick from). 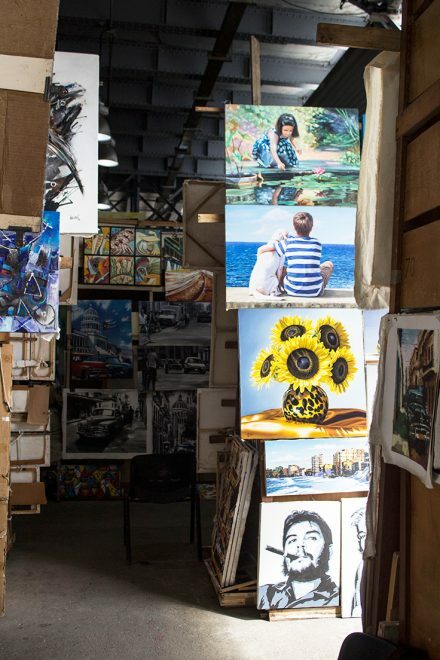 This market is filled with local art and handcrafts. If you are looking for some authentic souvenirs, here you will find plenty, otherwise, it’s already worth getting inside and take a look and stroll around the beautiful paintings. 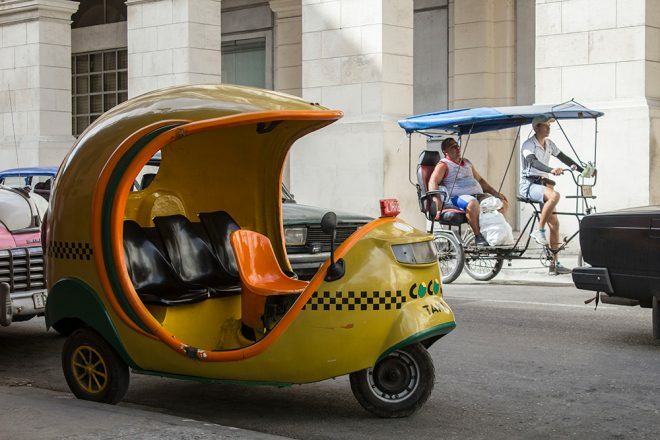 Riding a Coco Taxi is nothing like riding an old timer, but it’s funny, fun, different, interesting, cheap and an experience you can’t miss in Havana. Besides, you don’t get to ride on a “coconut” everyday. 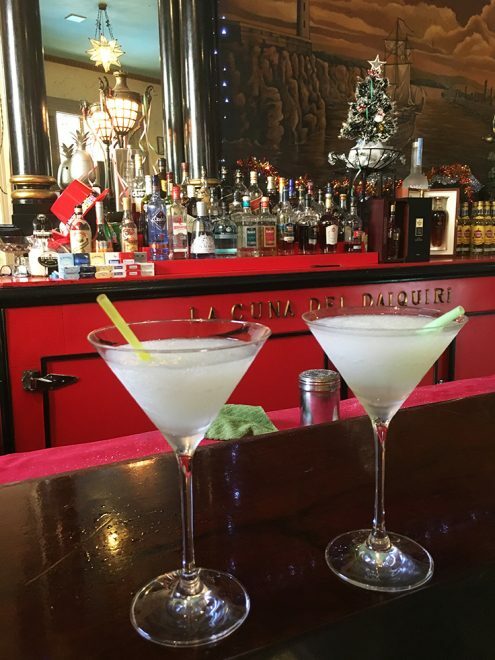 For those who didn’t know, Havana is the home of Mojito and Daiquiri. 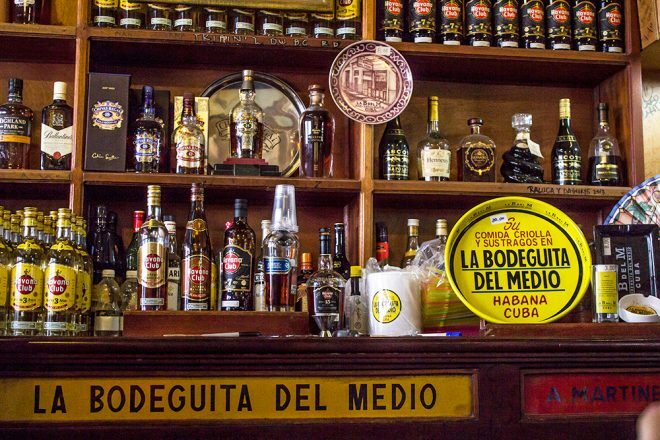 Even though very touristic, you can’t possibly visit Havana and not have a Mojito at La Bodeguita del Medio (later on I also discovered that there is one in Trinidad) and a Daiquiri at La Floridita, where Ernst Hemingway used to spend time. Both venues are on the same street, the famous Calle Obispo. 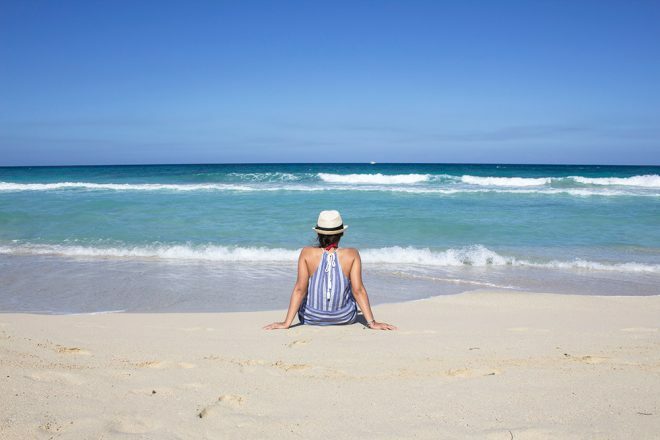 No, you can’t miss Havana’s beaches, yes, they are worth it. 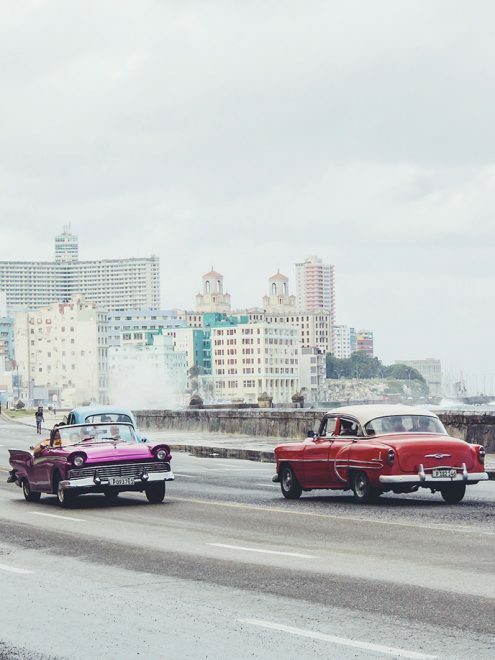 They aren’t exactly reachable by foot from Havana’s downtown, as they are located in the surroundings of the city, which require a car or a bus to get there. There are three of them, one beside the other, Tarara, Santa Maria and La Terraza. We spent some time between Tarara and Santa Maria and found it beautiful, and not so packed with tourists. It is also possible to take a taxi, the only problem is the return, when there won’t be many taxis around to drive you back to the city, and if there are, they will charge whatever they want. 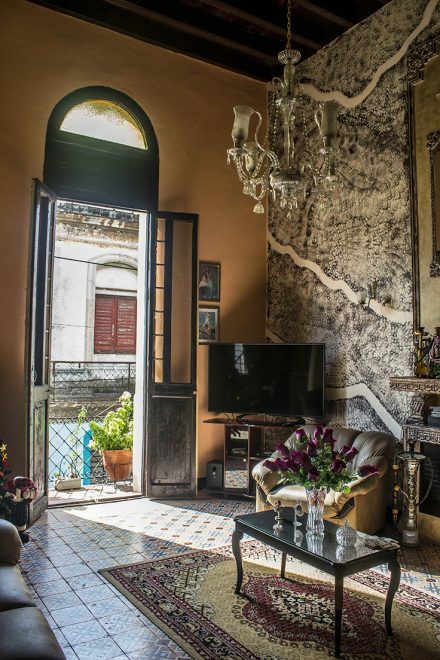 If you want to experience the authentic Havana, stay in a Casa Particular. 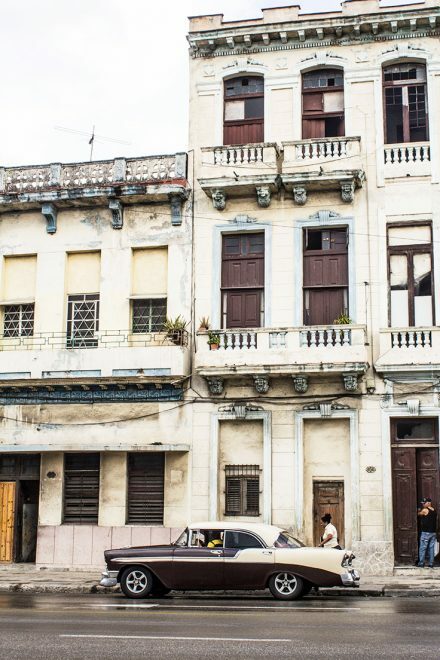 We stayed in Central Havana and did basically everything on foot. 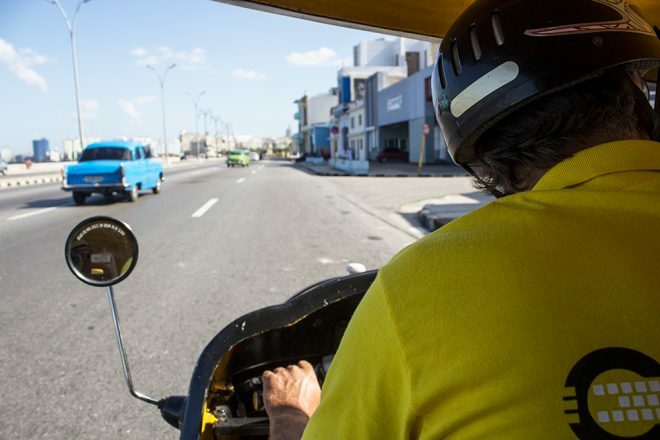 Vedado is a little bit further from Havana Vieja so you would need to get a taxi to get there faster. As for staying in Havana Vieja, just beware that it’s going to be loud, louder than staying in any other neighborhood around the city. I could have added to the 10 must do’s list ‘try the local food’, but then, you won’t have any other option, so it’s definitely a must whether you want it or not. 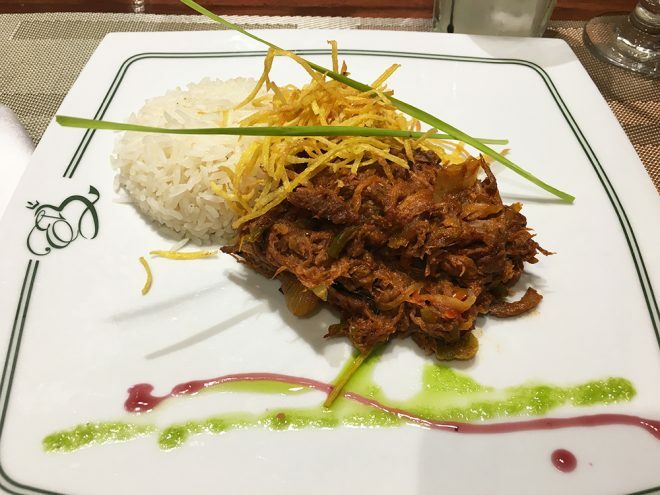 Cuba has many traditional dishes, but to me, the best ones were Ropa Vieja and Pollo con Arroz (chicken with rice), they are very similar to Brazilian food, you can find them in probably every restaurant. While in Havana, we got to try food in different places, though there was only one restaurant that we really liked and returned many times, and the only one I can recommend, El Biky. The food there is great, and though the line is unfair, the price is totally fair. I wouldn’t miss it going there. Try their Ropa Vieja and the Camarones Rinsados. They also have a bakery right beside the restaurant. 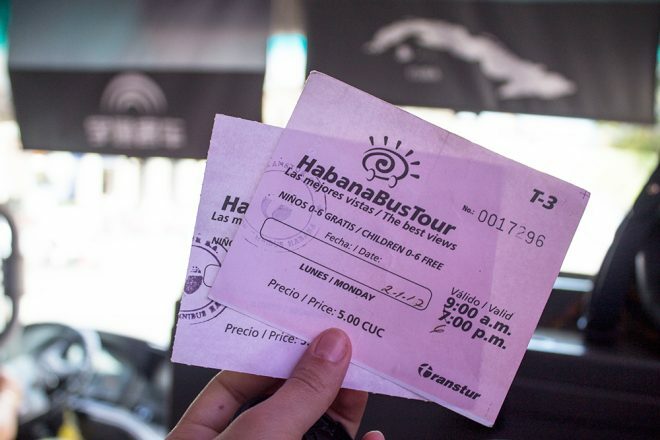 We were actually impressed that you can manage to get connected in different ways and places around Havana. 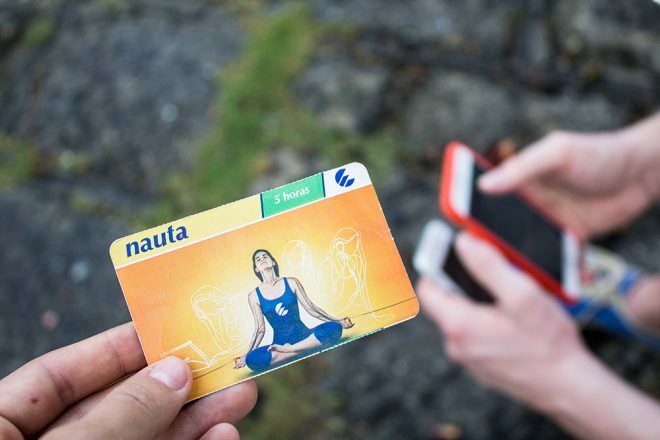 There are basically two options, one is to buy a card from the local telecommunications company (ETECSA), it costs around 3CUC a card (more expensive at the hotels, around 4,50/5 CUCs) and you have 1-hour connection (which is actually VERY bad and slow depending on where you are). The second option is to look for some people who can get you connected for 1 CUC an hour (also very slow connection), you can find them in many different squares, you will realize which ones once you notice the amount of people looking into their phones. 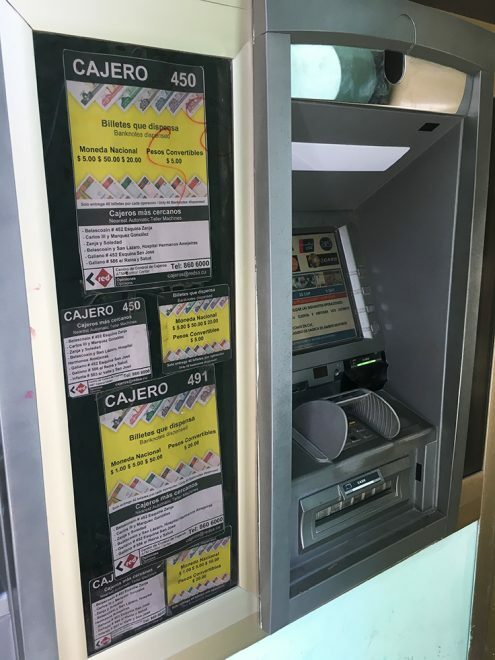 In Havana you can find ATM machines where you can get cash, however, the maximum amount per transaction is 150 CUC. 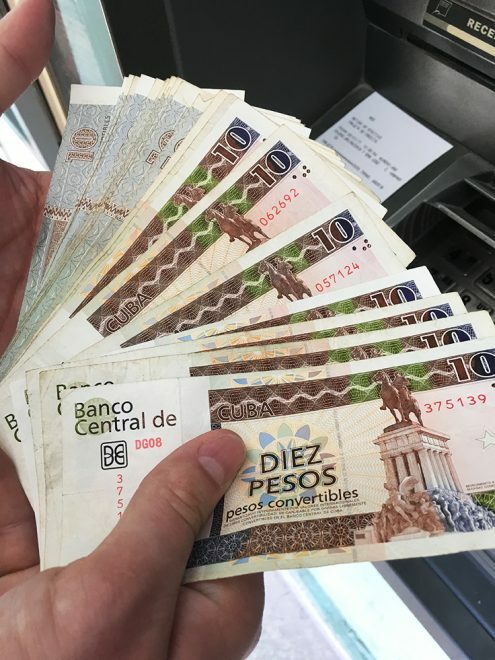 There are also places where you can exchange your money, these aren’t so easy to find, I advise you to get informed with the people of your Casa Particular or at the hotel you’re staying at. We got to experience a New Year’s Eve in Havana (2016/2017) and we were VERY disappointed. Everything closes early, including restaurants, and the ones that don’t close require a reservation well in advance, the problem is making the reservation from outside Cuba if you don’t have any local contact person. Also, there were no fireworks. Some said it was because of the mourning of Fidel Castro’s death, others said there weren’t fireworks in the past 5 years. The locals celebrate it at home with their families and on the streets playing Reggaeton. There are some clubs in the city where you can try to get into, some hotels also offer parties, though most are private for the guests only. 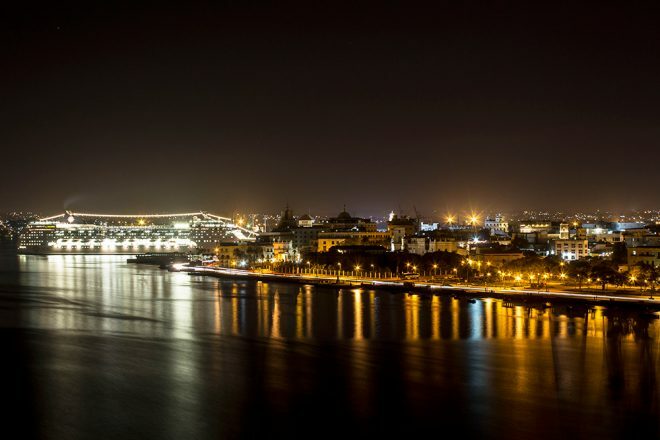 As for us, we decided it would be nice to spend midnight with a great view of the city and watch the fireworks (which there weren’t any) and went up to the La Cabaña Fortress. When we got there it was empty, the canons were fired at midnight and we almost didn’t get a ride back to the city, and the one we got wasn’t so trustworthy. Let’s just say we decided that if anything went wrong we would open the car door, jump and run. Though later on we discovered that the door only opened from the outside. I’m glad we arrived safely back to our Casa Particular. You may be approached by local people or even some pretending to come from other Spanish speaking countries, offering you to buy cigars directly from the factory with a discounted price. No, they are not fake, and yes they are cheaper, however, the quality might not be the best and if you don’t know anything about cigars you may waste your money. So be careful from whom you buy cigars in Havana. 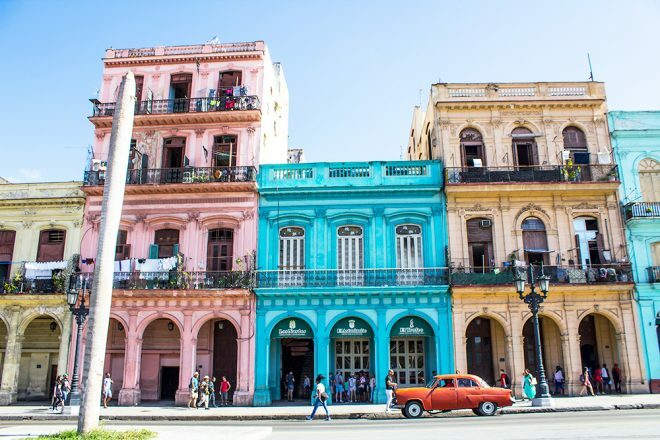 Cuba is constantly changing, so if you’ve been there recently and some of the information provided here are no longer valuable, give us un update on the comments below.